Detailed resin football trophy in bronze and gold colour finish, available in three sizes and offered with engraving options. 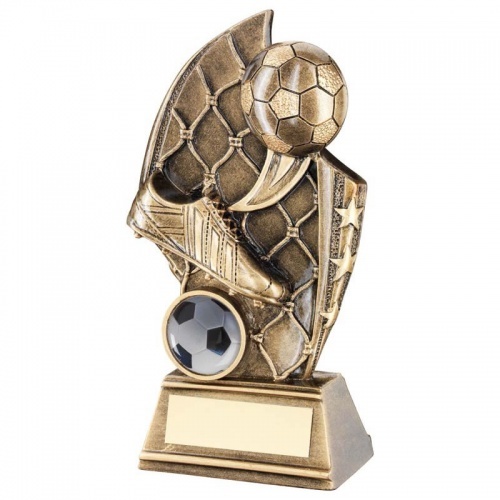 These versatile awards feature a football boot kicking a ball set against a netted background and mounted on a bevelled base with engraving plaque. They are ideal as a goalscorer award for both male and female players.